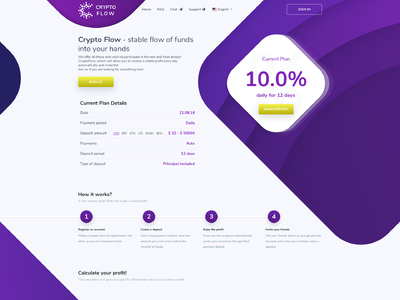 CryptoFlow, which will allow you to receive a stable profit every day automatically and instantly! Join us if you are looking for something new! The amount of 12 USD has been withdrawn from your account. Accounts: U4222871->U17997879. Memo: Shopping Cart Payment. Invoice 269, nelomota.. Date: 10:47 22.08.18. Batch: 225491511. The amount of 1.1 USD has been deposited to your account. Accounts: U17997879->U4222871. Memo: API Payment. Auto.. Date: 11:46 22.08.18. Batch: 225496601. The amount of 1.08 USD has been deposited to your account. Accounts: U17997879->U4222871. Memo: API Payment. Auto.. Date: 10:47 23.08.18. Batch: 225593245. The amount of 1.08 USD has been deposited to your account. Accounts: U17997879->U4222871. Memo: API Payment. Auto.. Date: 10:47 24.08.18. Batch: 225699463. The amount of 1.08 USD has been deposited to your account. Accounts: U17997879->U4222871. Memo: API Payment. Auto.. Date: 10:47 25.08.18. Batch: 225802064. The amount of 1.08 USD has been deposited to your account. Accounts: U17997879->U4222871. Memo: API Payment. Auto.. Date: 10:47 26.08.18. Batch: 225890062. The amount of 1.08 USD has been deposited to your account. Accounts: U17997879->U4222871. Memo: API Payment. Auto.. Date: 10:47 28.08.18. Batch: 226096309. The amount of 1.08 USD has been deposited to your account. Accounts: U17997879->U4222871. Memo: API Payment. Auto.. Date: 10:47 29.08.18. Batch: 226209180. The amount of 1.08 USD has been deposited to your account. Accounts: U17997879->U4222871. Memo: API Payment. Auto.. Date: 10:47 30.08.18. Batch: 226316481. The amount of 1.08 USD has been deposited to your account. Accounts: U17997879->U4222871. Memo: API Payment. Auto.. Date: 10:47 31.08.18. Batch: 226423362. The amount of 1.08 USD has been deposited to your account. Accounts: U17997879->U4222871. Memo: API Payment. Auto.. Date: 10:47 02.09.18. Batch: 226950401. The amount of 1.08 USD has been deposited to your account. Accounts: U17997879->U4222871. Memo: API Payment. Auto.. Date: 10:47 04.09.18. Batch: 227160167. The amount of 1.08 USD has been deposited to your account. Accounts: U17997879->U4222871. Memo: API Payment. Auto.. Date: 14:04 06.09.18. Batch: 227422636. The amount of 1.08 USD has been deposited to your account. Accounts: U17997879->U4222871. Memo: API Payment. Auto.. Date: 14:03 07.09.18. Batch: 227536419. The amount of 1.08 USD has been deposited to your account. Accounts: U17997879->U4222871. Memo: API Payment. Auto.. Date: 14:03 08.09.18. Batch: 227641197. The amount of 1.08 USD has been deposited to your account. Accounts: U17997879->U4222871. Memo: API Payment. Auto.. Date: 14:03 09.09.18. Batch: 227736973.